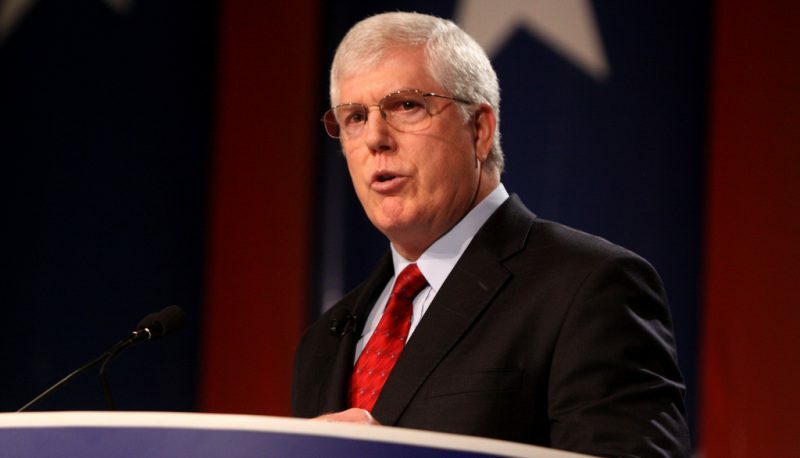 Mat Staver, the chairman of the Religious Right legal group Liberty Counsel, responded to a federal judge’s order that two undocumented teenagers be allowed to access abortion by saying that the Trump administration “would be well within their rights to refuse to enforce” the ruling. This is the second high-profile case involving teens in the custody of the Office of Refugee Resettlement, which is housed in the Department of Health and Human Services, being denied access to abortion. “This outrageous decision is an example of judicial activism and is shameful,” said Mat Staver, Founder and Chairman of Liberty Counsel. “This decision forces the American taxpayers to fund human genocide. An additional irony is that an illegal minor can require Americans to abort her child which otherwise would soon be born as an American citizen. The judge totally ignores the deadly harm to the child. President Trump and the administration would be well within their rights to refuse to enforce this extreme opinion,” said Staver.